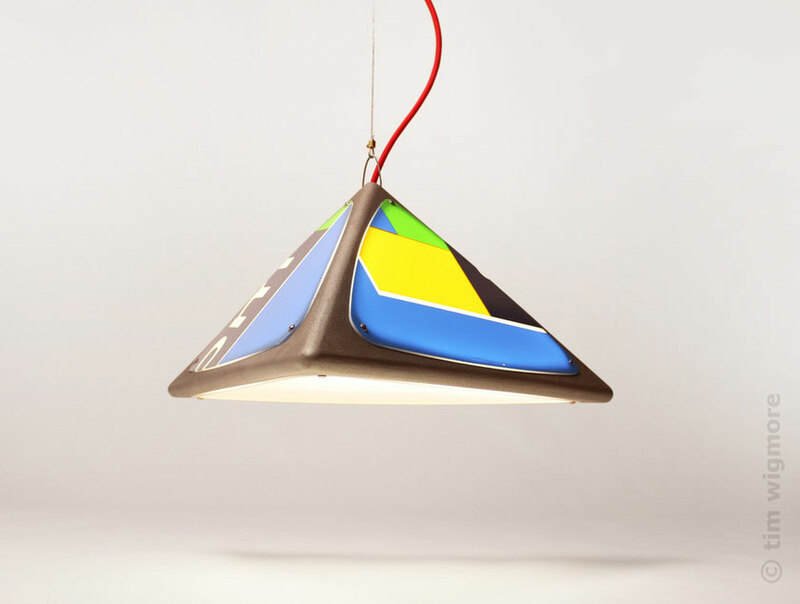 The recycled aluminium framework of the Ledge Lamp highlights random and colourful scraps of signage and contrasts them with a context of sleek refinement. 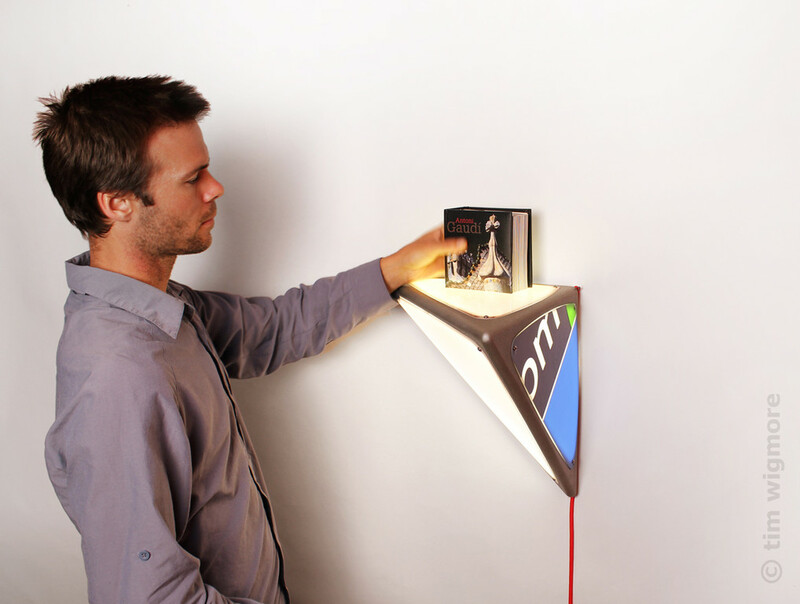 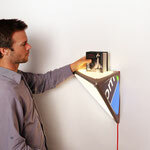 The Ledge Lamp is intended to be flexible. 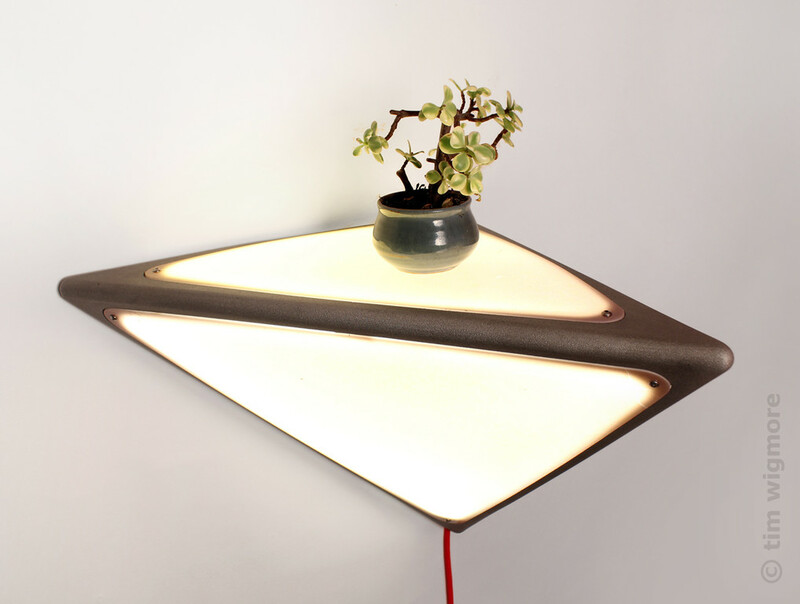 Its design encourages the user to explore different possibilities in the way it is used ␣ a wall shelf/lightbox, a corner lamp, table lamp or pendant lamp. 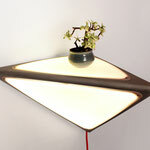 The Ledge Lamp helps alter our perception of the old and unloved, whilst empowering us to be bold and playful.